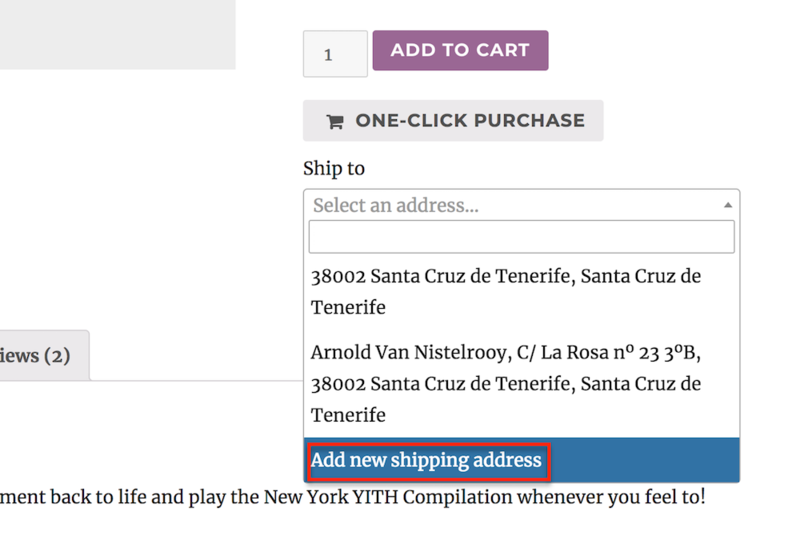 When the plugin is activated, a One-Click button will appear on all the products of the shop, but only the users who have entered their shipping data will be able to see it or those who have at least purchased once unless you enable the option Activate for guest which allows redirecting guest customers to the Checkout page after clicking on the above-mentioned button. 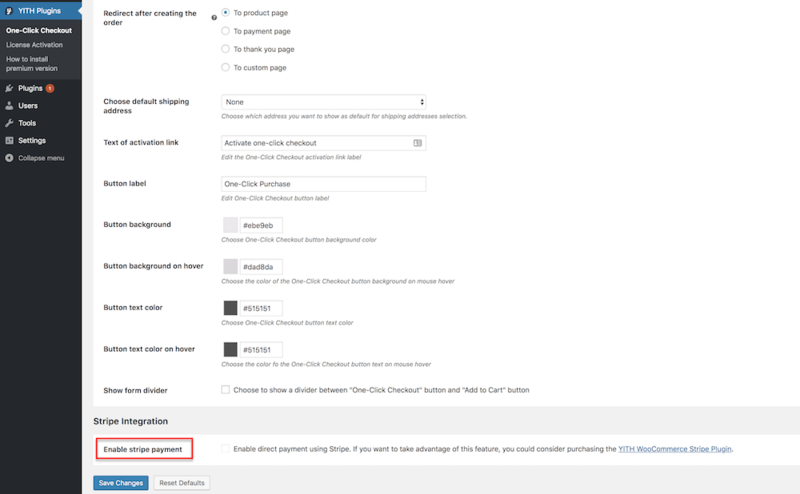 If you want to restrict the plugin features only to users who have at least purchased once, you can enable the option Activate after the first order. 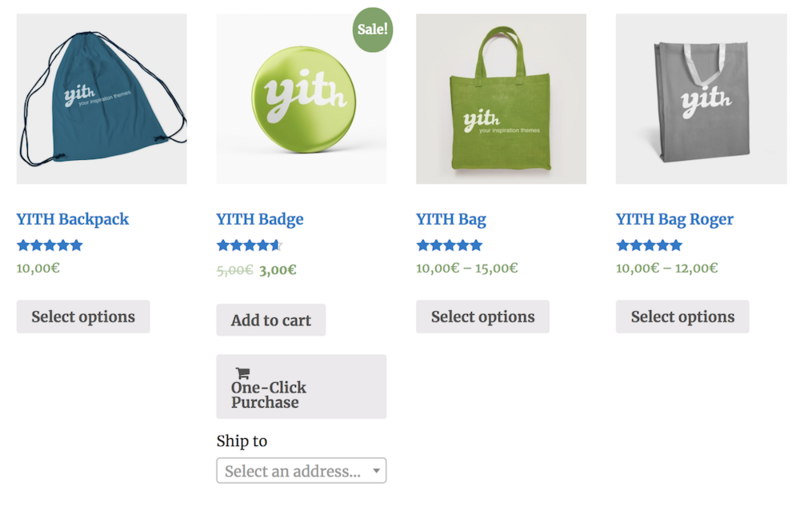 By default, the plugin adds a button in product detail page, but you can also show it for every product in shop page by checking the option Activate in shop page and users will be able to purchase them just with one click. If you want to show a link instead of a button, enable the option Activate with link. 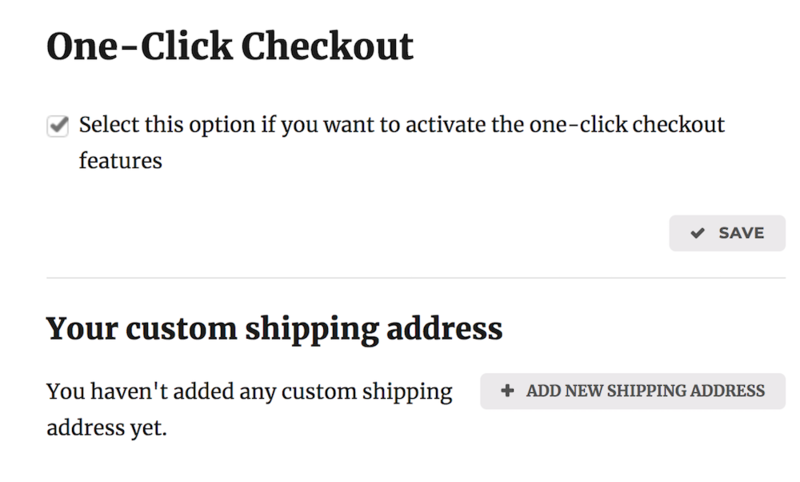 With the Redirect after creating the order option, you can set a specific page of the site where you want to redirect the users after they have purchased using one-click checkout option. 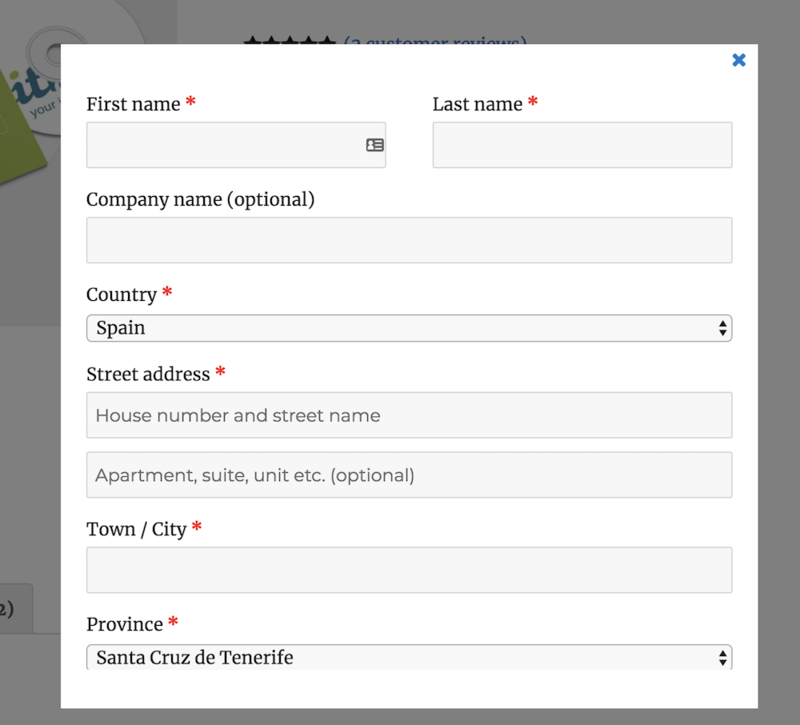 Users can be redirected either to the checkout page, product page or “Thank you” page or even to another page of the site, by specifying a link. 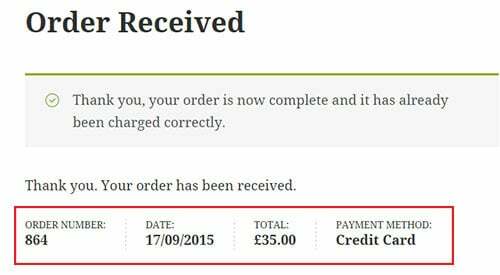 The user can disable one-click payment on products by unchecking the option that can be found in “My account” page.